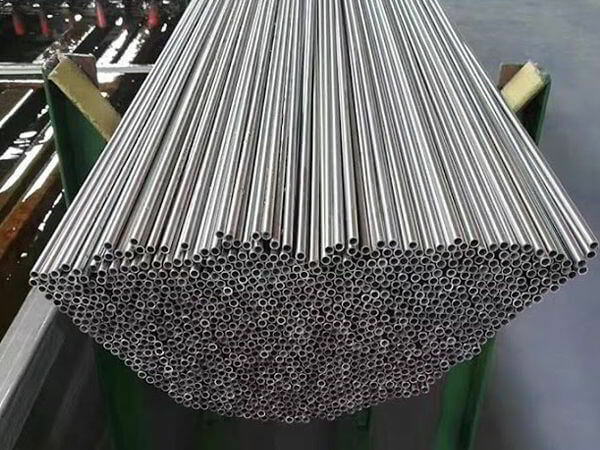 Grade 316 Stainless Steel Pipes, SS 316L Tubes, 316/316L Stainless Steel Tubing, ASTM A312 SS TP316 Seamless Pipes, ASME SA213 Stainless Steel TP316L Seamless Cold Finished Tubes Manufactures, ASME SA312 TP316/316L SS Welded Round Pipes Stockholders in Mumbai, ASTM A249 SUS 316 Welded Tubing, ASME SA269 AISI 316L Austenitic Stainless Steel ERW Tube Suppliers, ASTM A358 SS 316/316L EFW Pipe Exporters in India. 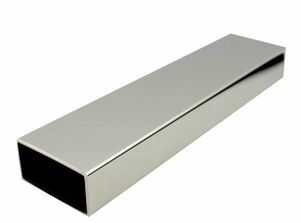 SS 316/316L Pipes, UNS S31600 Stainless Steel Polished Pipes Stockists, SS TP316L Seamless Round Tubing, SS 316 Rectangular Hollow Pipes, Type TP316 SS Welded Square Pipe, Stainless Steel 316L Oval Tubes, UNS S31603 Hot Finished Tubes Dealers in India, SS 316 Electropolished Pipes and Tubes Distributors in Mumbai. Renine Metalloys is a known exporter of SS 316 / 316L Pipes and Tubes, which has high creep strength at elevated temperatures. 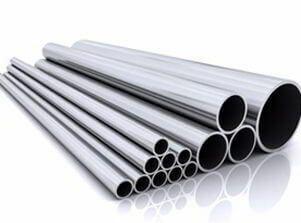 The addition of molybdenum in Stainless Steel 316 Pipes improves general corrosion and chloride pitting resistance. In addition to excellent corrosion resistance and strength properties, Stainless Steel 316 Tubes also provide excellent fabricability and formability which are typical of the austenitic stainless steels. 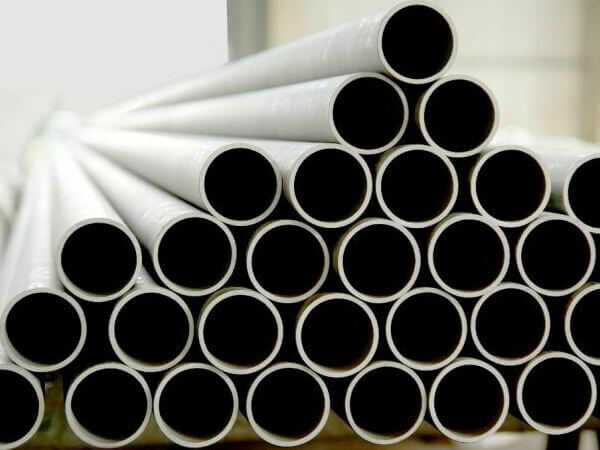 SS 316 Pipes increases the strength (particularly at temperatures above about 500 Degree C), but should not be used for applications where sensitization corrosion could be expected. SS 316 Tubes also offer higher creep, stress – to – rupture and tensile strength at elevated temperatures. 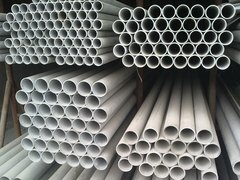 316 Stainless Steel Pipes and Tubes are also both non - hardenable by heat treatment and can be readily formed and drawn. 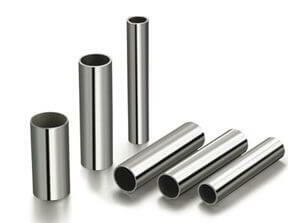 Stainless Steel 316L Pipes is the lower carbon version of 316 and is immune from sensitization. 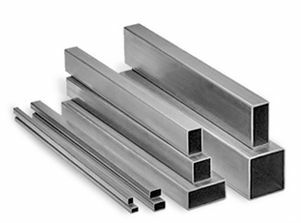 Stainless Steel 316L Tubes is readily roll formed into a variety of parts for applications in the industrial, architectural, and transportation fields. In addition to chromium and nickel, these SS 316L Pipes contain molybdenum, which also makes them more corrosion resistant. 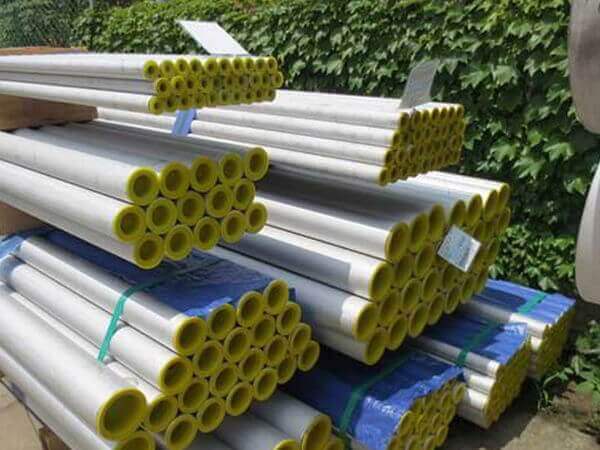 SS 316L Tubes has estrangement and ductile potency at high temperatures, along with excellent corrosion and pitting resistance. 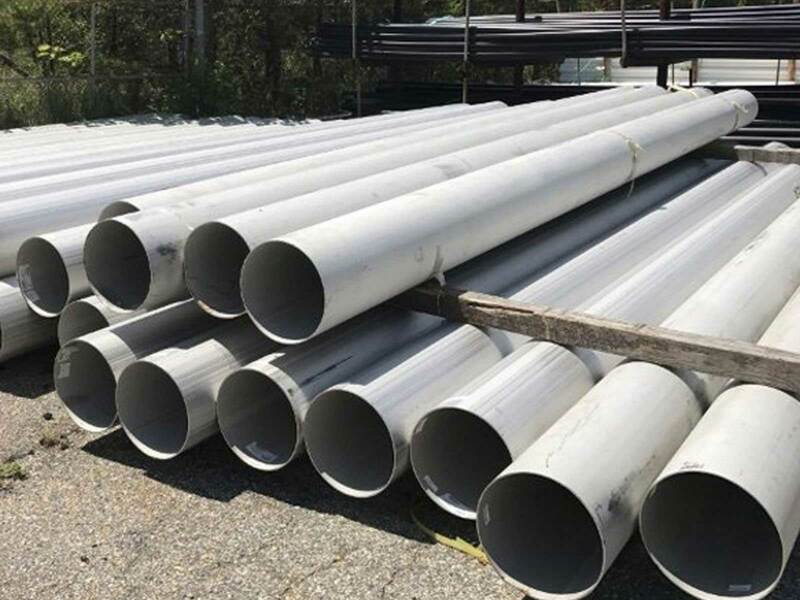 316L Stainless Steel Pipes and Tubes is extensively used in the oil and gas and chemical industries for its cost effective corrosion resistance and ease of fabrication. SS 316/316L Capillary Piping, DIN 1.4404 / 1.4435 Coil Tube Suppliers in Mumbai, 316 Stainless Steel Instrumentation Pipes, 316/316L SS Tubes, Stainless Steel TP316L Cold Drawn Seamless Pipes, SS 316/316L Hollow Section, SUS 316 Steel Hydraulic Tubing Exporters, 316 Stainless Steel Bright Annealed Pipe & Tubes Traders, Grade TP316L SS Heat-Exchanger and Condenser Tubing, DIN 1.4401 / 1.4436 Steel Hexagonal Pipe Stockyards. Stainless Steel Pipes, Stainless Steel Tubes Suppliers, SS Pipe, SS Tube, Stainless Steel 316 Pipes, SS 316L Seamless Pipes Exporters, ASTM A312 SS 316/316L Big Diameter Seamless Piping, ASME SA312 SS 316 Heavy wall welded Pipes Stockholders in Charni Road, ASTM A312 Pipes, ASTM A213 SS 316L Seamless Tubing Stockyards in C.P. 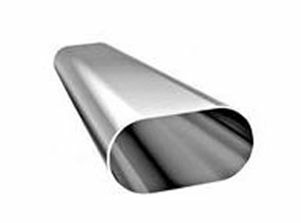 Tank Road, ASME SA213 Stainless Steel 316/316L Tubes Traders in Maharashtra, ASTM A249 Austenitic Stainless Steel 316 ERW Tubes, ASTM A213 Tubes, ASME SA269 SS 316L Welded Tubing, UNS S31600 Polished Pipes Stockists in Maharashtra, Hot Finished Stainless Steel 316 Pipes, 316L Seamless Cold Finished Tubes, UNS S31603 Electropolished Pipes, 316/316L Stainless Steel EFW Tubes, ASTM A358 / ASME SA358 Stainless Steel 316 EFW Pipes, DIN 1.4404 / 1.4435 Large Diameter Pipes Distributors, DIN 1.4401 / 1.4436 Heavy wall Piping, SS 316 Fabricated Pipe, Stainless Steel 316L Bright Annealed Pipes Vendors, AISI 316/316L SS Thin wall Tubes, SS 316 Hollow Pipes Manufacturers in India, Cheap SUS 316L Hollow Section Square Pipes, Steel 316/316L Rectangle Hollow Section Pipes, Buy 316 Heat Ex-changer Stainless Steel Tubes, SS 316L Water Pipes, SS 316L Oval Pipe & Tube, 316L Coil Tubes, SS 316 Capillary Tubing, Stainless Steel 316L Hexagonal Pipes, SS 316 Seamless Mechanical Tubes, Stainless steel 316L Instrumentation Pipes, Low Price SS 316/316L SCH 40 Pipe, Grade 316L SS Schedule 80 Pipes, 316/316L Stainless Steel Tubular Products, 316/316L Steel Capillary Pipes and Tubes, SS 316 ERW Pipe, Steel 316L Pressure Pipes, SS 316 Mirror Polished Tube, High Quality Stainless Steel 316L Round Pipe, SS 316/316L Rectangular Pipes & Tubes, Stainless Steel 316 Square Pipe and Tubing Manufactures in Mumbai India. Australia, Port-of-Spain, Coimbatore, Sharjah, Bengaluru, Madrid, New York, Seoul, Granada, Aberdeen, Istanbul, Calgary, Ahmedabad, Brisbane, Geoje-si, Al Jubail, Kanpur, Kuwait City, Mexico City, Gurgaon, Bogota, Toronto, Navi Mumbai, Algiers, Karachi, Courbevoie, Haryana, Ahvaz, Atyrau, Visakhapatnam, Chandigarh, Secunderabad, Vadodara, Ernakulam, Nagpur, Colombo, Rio de Janeiro, Abu Dhabi, Baroda, Surat, La Victoria, Rajkot, Mumbai, Noida, Pune, Milan, Manama, Howrah, Indore, Riyadh, Jamshedpur, Kuala Lumpur, Dallas, Turkey, Hyderabad, Bangkok, Nashik, Ho Chi Minh City, Moscow, Perth, Dubai, Edmonton, Hong Kong, Jaipur, Chennai, Dammam, Los Angeles, Doha, Jakarta, Houston, Vung Tau, Ulsan, Singapore, Busan, Thane, Montreal, Santiago, Lagos, Gimhae-si, New Delhi, Chiyoda, Ranchi, Cairo, Al Khobar, Ludhiana, Faridabad, Thiruvananthapuram, Sydney, Bhopal, Kolkata, Tehran, Lahore, London, Petaling Jaya, Muscat, Caracas, Jeddah, Hanoi, Pimpri-Chinchwad. Netherlands, Canada, Denmark, Bangladesh, Croatia, Switzerland, Bhutan, Puerto Rico, Poland, Kuwait, Bolivia, Algeria, Iran, Jordan, Indonesia, Vietnam, Morocco, mexico, srilanka, thailand, malaysia, India, Bulgaria, China, Nigeria, Sri Lanka, Germany, Finland, Ecuador, Italy, Portugal, Costa Rica, Mexico, Oman, Israel, Kenya, United Kingdom, Egypt, Namibia, Mexico, Libya, Japan, Brazil, France, Belarus, Yemen, Bahrain, Lithuania, Afghanistan, brazil, Saudi Arabia, Azerbaijan, Taiwan, Turkey, Gambia, Spain, Greece, Tibet, Nigeria, Serbia, Peru, Mongolia, Chile, Thailand, Norway, Austria, Zimbabwe, South Korea, Argentina, Nepal, United States, Hong Kong, Philippines, Belgium, Ukraine, Lebanon, Czech Republic, Malaysia, cyprus, Sweden, Estonia, Slovakia, New Zealand, Ghana, Venezuela, Kazakhstan, Singapore, Poland, South Africa, Ireland, Gabon, Colombia, Iran, Qatar, Australia, Macau, Trinidad & Tobago,Tunisia, Romania, United Arab Emirates, Hungary, Russia, Chile.